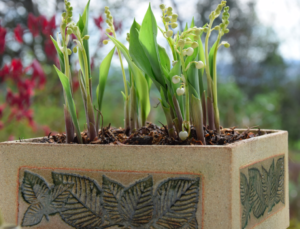 From her workshop on the Devon/Cornwall border Gill Dubey of Potting Shed Ceramics combines her two loves, ceramics and gardening. Many years ago Gill studied ceramics at Ravensbourne College of Art & Design, near London and her life’s journey has now found her working as a gardener for several customers in the West Country as well as using clay to produce unique stoneware slab built pots for plants. For indoors Gill also makes an earthenware version which, planted up, make lovely table centrepieces at weddings and/or for Christmas with the addition of a candle or two. Gill’s style of surface decoration can also be seen on her smaller earthenware items, such as the ever popular soap dishes which are sold in various shops across England. Gill and her beautiful ceramic pots can be found both days of the festival in the Artisan Marquee on the lower lawn of the Castle. New – Powderkeg’s Devon Bar at the Fest!